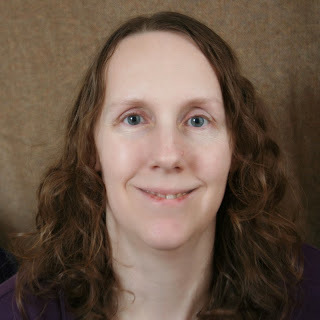 Welcome to my site. For my first post I thought I would share a tutorial I created. 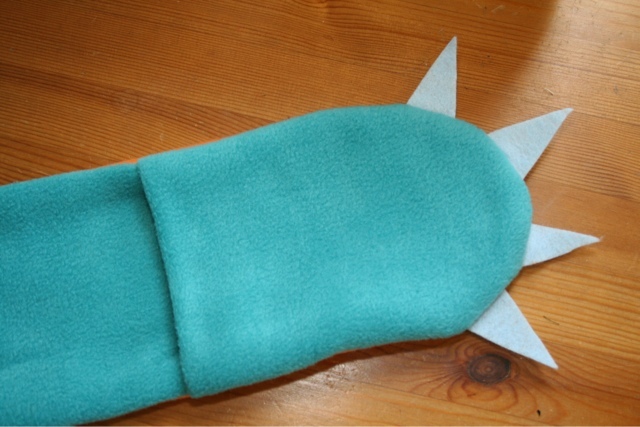 It is an easy project that would make a great gift for the little monster (or dinosaur, or bear, or other animal with claws) in your life. This project is suitable for a beginning sewer. 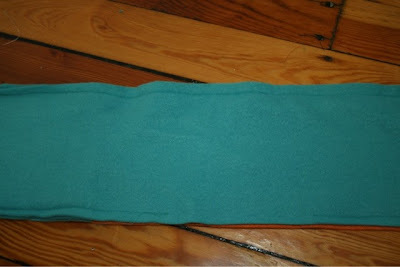 It can be done in one or two colors and the colors can be chosen to suit the type of creature you are going for. I used a bright orange and turquoise for a fun monster look, but you could choose brown and tan if you were going for bear claws. For a single color: 3/4 yard of fleece, minky or faux fur. 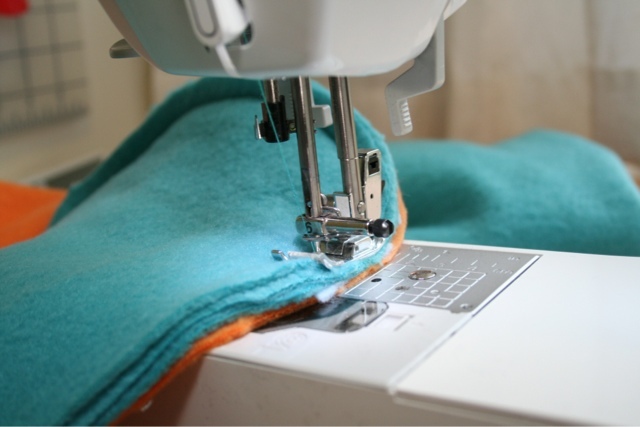 Using a rotary cutter or scissors cut two pieces of fleece that are seven inches by the full width of the fabric (usually 60"). 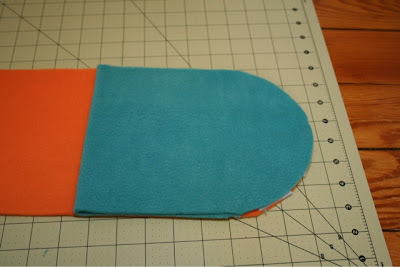 If using two colors, one piece should be in one color and the other piece in the other color. 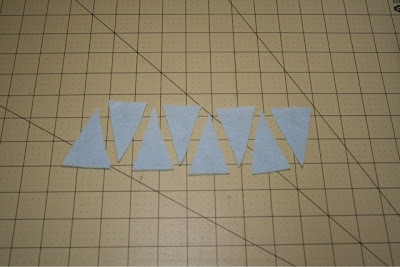 from the remaining fabric cut two pieces that are seven inches wide by 18 inches long. 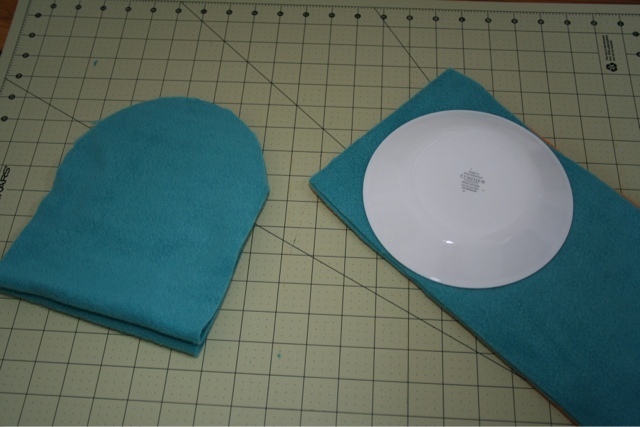 Use a small plate or other round object about seven inches in diameter to round off the ends of all four pieces. 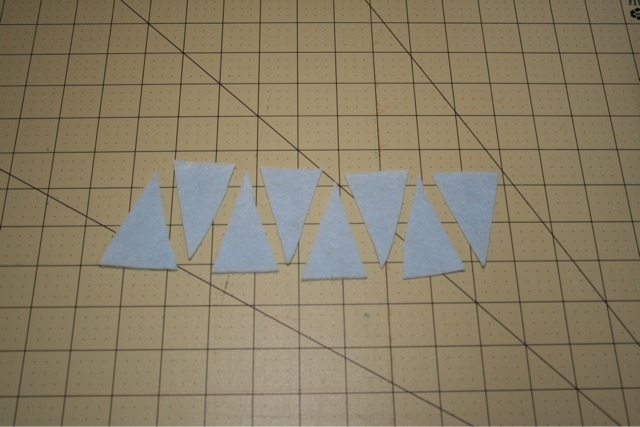 Cut 8 triangles out of the felt for the claws. Mine are about 1.5"x2.5". 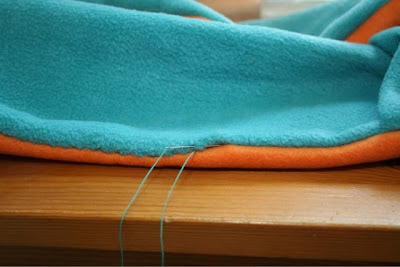 Place one of the long fleece pieces right side up and arrange four claws on each rounded end, pointing inward. 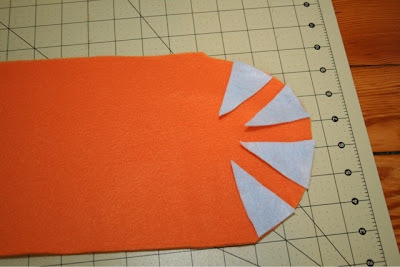 Next, fold the shorter pieces in half, wrong sides together. 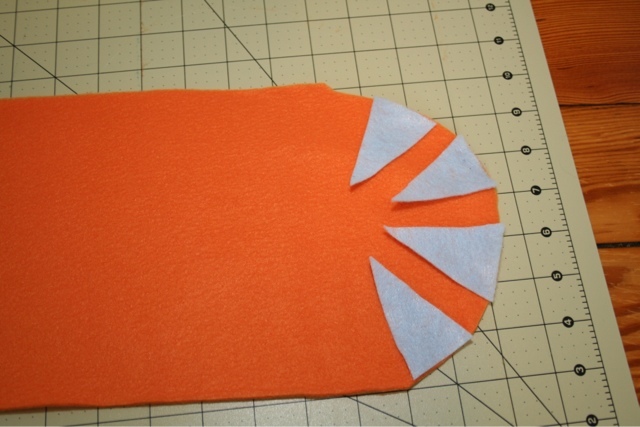 Lay one on each end of the long piece aligning the curved edges. 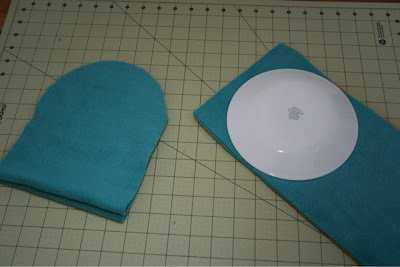 Now, place the second long piece on top of everything, right side down. Pin. I am not a big fan of pinning because I feel like I can usually keep things in place without them, but at a minimum you are going to want a pin to hold each claw in place. 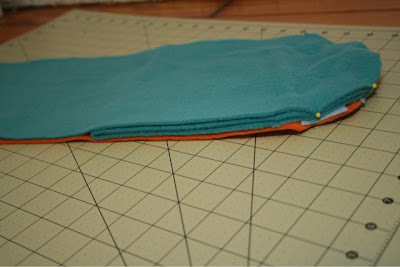 Sew around the entire scarf with a 1/2" seam allowance, leaving a 4-5" gap in one side for turning. 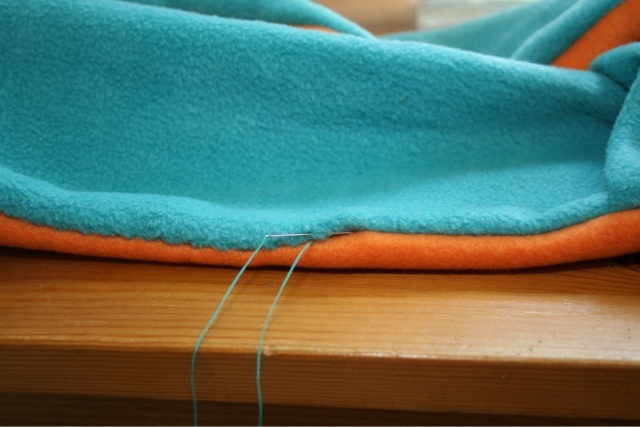 As you are sewing around the curved ends go slowly - you will be sewing through four thicknesses of fleece - and make sure that the wide ends of the claws are still lined up with the edge of the fabric. Turn the scarf right-side out, making sure to turn the hand pockets (mittens) so the claws are on the outside. 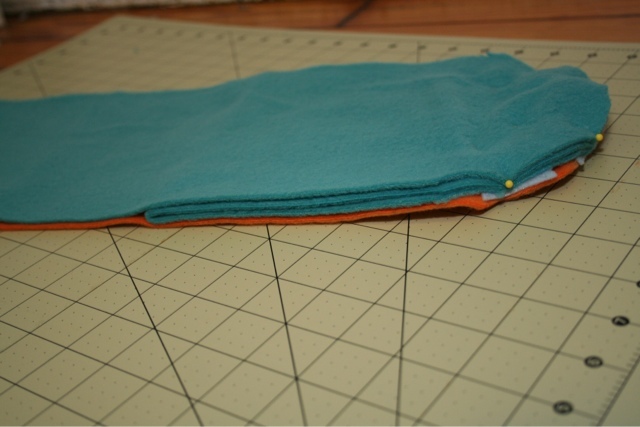 Sew the gap closed using a ladder stitch. This is a good tutorial for sewing a gap closed with a ladder stitch in case you aren't familiar with the technique. 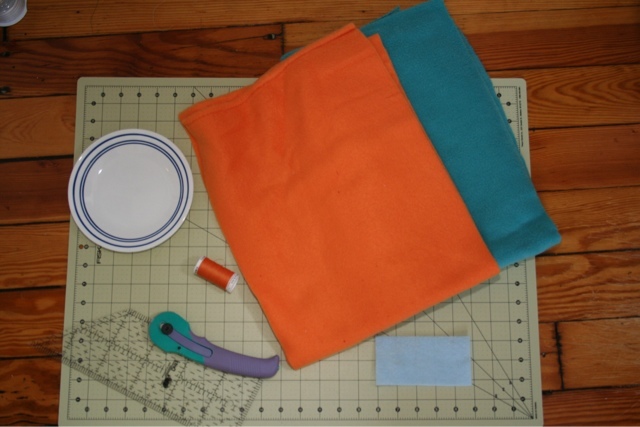 This scarf would be a great gift, especially when paired with the dinosaur/dragon, bear or cat fleece hat from this tutorial. Hi! Just popping in from Make It handmade! this is so cute! My kiddos would love these. I love the tiny pockets for the hands.